We know that choosing your next book can sometimes feel a little stressful. Which is why here at Shenstone Community Library we want to offer a helping hand by introducing our brand new ‘May We Recommend’ initiative. Our members will be reading and reviewing a host of books and then sending us their book and author recommendations which we’ll put on this page and on our Facebook and Twitter to help you choose what to read next. Who knows, it may inspire you to find your new favourite book or author or maybe try a book genre you haven’t read yet. My name is Liz Walch and my recommended book is The Cuckoo’s Calling by Robert Galbraith. I never had the desire to read any Harry Potter stories so was a little sceptical about reading this crime novel by J K Rowling’s pseudonym, Robert Galbraith. However I saw it on the front shelf of the library just as I had finished another so though I would give it a go. By the end of Chapter 1, I was hooked. I immediately liked the main characters, Strike and his secretary. The author has the knack of giving you enough detail to get a picture and understanding of the characters without bogging you down with descriptive writing. Equally, she does the same with the loathsome characters! The story was believable, kept at a good pace and had a brilliant twist at the end. I definitely want to read the next one! My name is Sue Gething and my recommendation is “The Stolen Marriage” by Diane Chamberlain. I have thoroughly enjoyed all of Diane Chamberlain’s books and her latest “The Stolen Marriage” does not disappoint. Set in 1944 in a small town Hickory, North Carolina, Tess DeMello abruptly ends her engagement to the love of her life and marries a mysterious stranger who is secretive and distant. The book explores the theme of inter-racial marriage which was prohibited in the forties and the devastating effects of the polio epidemic which strikes at the heart of the small community of Hickory. Tess begins her story with a crisis and self-doubt and grows stronger through adversity. This is an emotionally compelling story of secrets and silence, love and lies, sensitively told, rich in character and atmosphere. We were lucky enough to have the writer Fiona Joseph as our honoured guest to open Shenstone Community Library last June. She spoke compellingly about her early experiences as a reader, and about her research as a writer into the remarkable Quaker heiress who held bold anti-capitalist views, and together with her husband, relentlessly pursued their vision of a fairer and more equal society. I thoroughly enjoyed the book about her remarkable life, and think that a wide range of readers would enjoy it too! 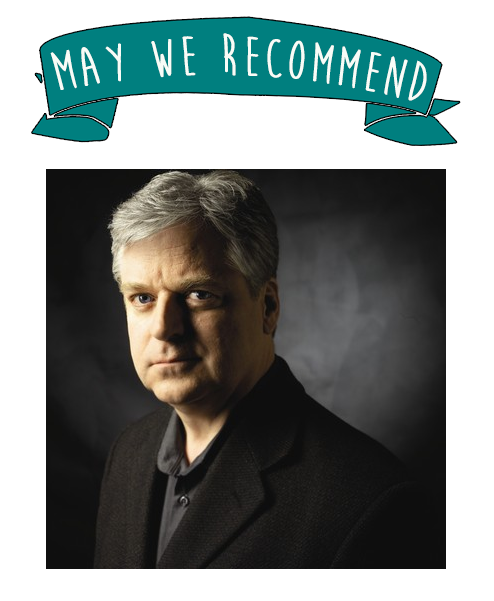 My name is Jane Cotton and my recommended author is Linwood Barclay. I have always enjoyed crime/mystery books and have read most if not all from Lee Child, Kathy Riechs, Alexander McCall Smith, David Baldacci, Michael Connelly etc. I guess you get the picture. However, a friendly volunteer put me on to Linwood Barclay and I have really enjoyed the 2 series that I have read. The first series I read was about Zak Walker, a reluctant detective and what I really enjoyed was the humour behind the character as well as, of course, the unexpectedness that always makes a good read. Bad Move was the first in this series. I have now moved on to a trilogy about Promise Falls- small town USA with Broken Promise. Here, Linwood, was juggling several story lines and I was rather amazed that one story line was left in complete limbo so I am really looking forward to book 2 in the series. If you like similar stories and you’ve not read any of Linwood Barclay’s books, please give them a try- as far as I can see we have most in our library. If you’d like to make a recommendation then we’d love to hear from you and we’ll post your review on our website and via social media. Once you’ve written your review (it doesn’t have to be long) then you can send it to us via our contact form on this website or write it down and hand it in at the library desk during our opening hours.